“Do everyone get to wake up every morning these days with such a nostalgia?” – a question you ask yourself as your eyes are large awake five minutes before the morning alarm is about to strike. Well, it is no wonder that one does not need an alarm to wake up at the hostel room of the “Change Masters” building at this corner of the country, when nature herself take up the responsibility to do so, sending the most beautiful of her flying ambassadors to the window pane to chirrup at the sweetest tone of her voice. The singing birds at the windows, the gusting winds through the canopies, and the rustling noise of the fallen leaves sweeping through the roads is bound to send anyone like you back to your childhood days – back to the days when summers were spent in one of the most rural parts of India, somewhere where one could count more natural trees than concrete ones. But no sooner than the alarm (essentially, a contemporary song) strikes a few minutes later, you realize you are in the heart of Gurgaon, at your dream B-School. The contrast would take some time to settle in you, but you would then take a glimpse outside your window, resisting yourself hard from having a morning stroll on the path alongside the lush gardens and parks, and have some healthy breakfast instead. But the temptation of nature overcomes the growling sounds from your stomach, and even before you complete your thoughts, you find yourself already on the beautiful campus main road. You start walking from Change Masters, alongside the iconic campus buildings like Nalanda, Takshashila, and Gurukul, and you realize you are literally following the footsteps of many successful CEOs and CMDs who actually have gone through the same days at the same place as you are at the moment. And as these thoughts play into your mind, that is the exact moment you reach the sprawling golf course, and you take a seat under the shade of a tree, to watch the grasses swaying to the wind and the birds flapping to some tune. You literally revolve your neck a full 180 degrees to take a full scenic view of the tranquil frame, and then suddenly you look beyond the horizons to notice the multi-storeyed buildings just beyond the campus boundary, reading “Headquarters” of Xs and Ys. 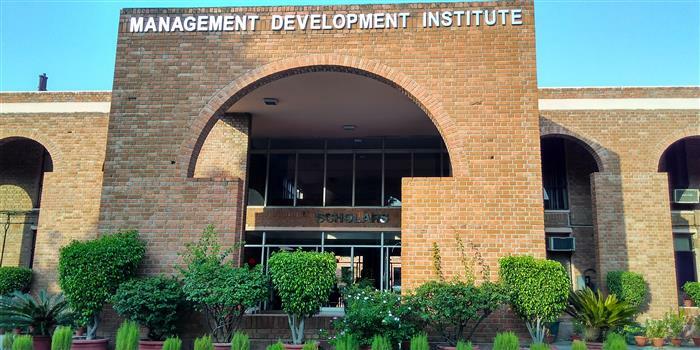 You take a deep breath, smile gently, and say to yourself, “Welcome to Management Development Institute”! I would like to join Hindalco-Almex Aerospace Limited, as this company ventures into a sector that is not just of a personal liking to me, but is expected to take a quantum leap in emerging markets in the next few years – Aerospace. With the increase in the affordability, more and more people are looking forward to air travel as a mode of fast and haste free transportation. Similarly, with the increasing pursuit for advancement in space technologies, there has been more demand for spacecrafts than ever before. The market is growing, but so is the demand-supply gap for quality raw materials needed to make the frame and body of these mighty machines. And hence, this sets an exciting opportunity for airplane grade aluminium producers. I strongly wish to be a part of this journey, and pick up loads of learning on the way, so as to make myself a competent future leader of the sector.